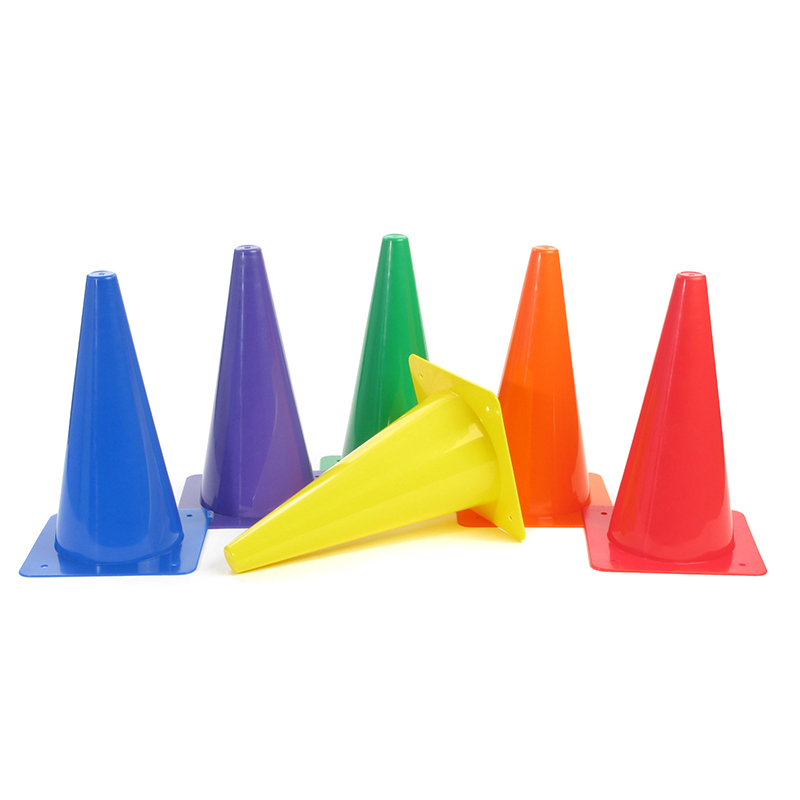 12" H Colorful Plastic cones are great for classroom and game organization! Durable polyethylene rigid cones have holes on the corners for anchoring. Bright colors provide high visibility. Set of 6 assored colors.